Yahoo! Shortcuts – Helpful words are underlined in your mail. 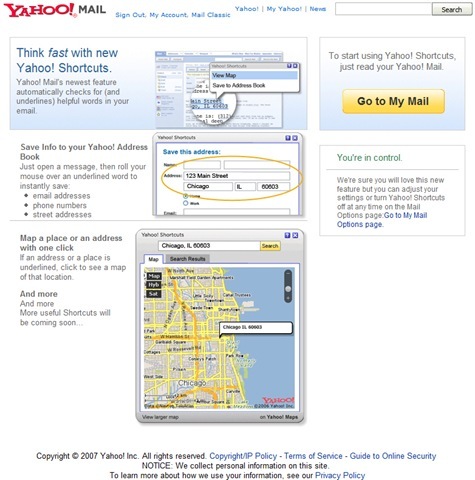 Save Info to your Yahoo! Address Book – Roll mouse over underlined words to instantly same – email address, phone numbers and street addresses. 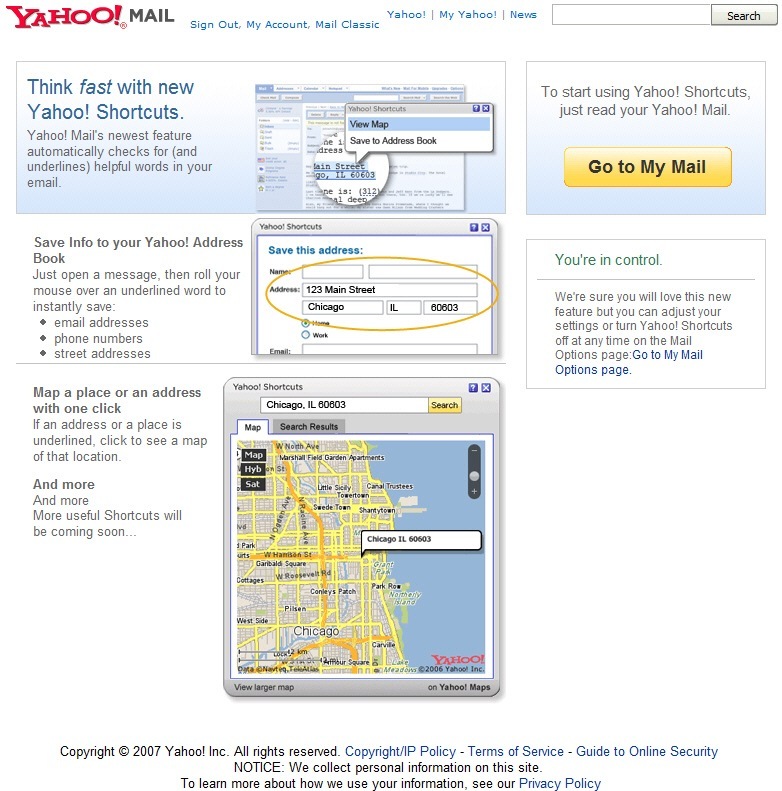 Map a place or an address with one click – Location maps are shown on clicking smart locations in email.